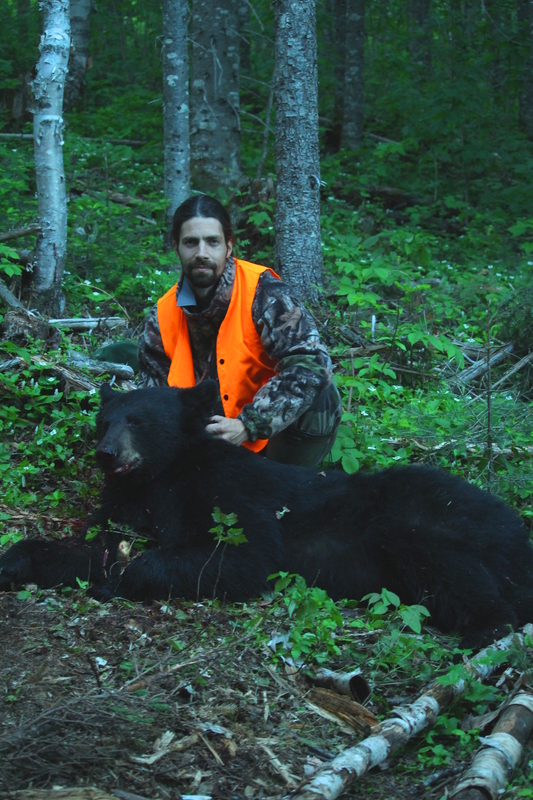 Discover black bear hunting with the Nouvelle River ZEC! High quality tree stands, baited sites that look natural and clean, experienced guide, cold room and the possibility to combine bear hunting with sea run brook trout and salmon fishing between 15th and 30th June! cold room for the meat. The lodging is not included. We have a campground and cabins to accommodate you! If it is your first experience in bear hunting and feel more comfortable if accompanied, it is possible! A guide will be at your side for your whole trip for only 500$ more per hunter.